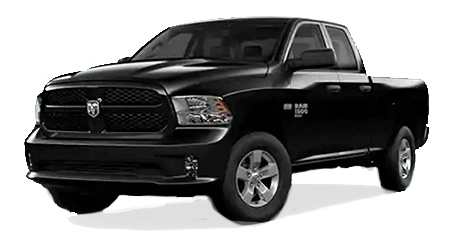 Along with oil change and tire services, we also offer Chrysler, Dodge, Ford, Jeep, RAM brake service in Opelika, AL. Whether your new or used Chrysler, RAM, Dodge, Jeep, and Ford vehicle needs new brakes or you need a technician to check your brakes, the Opelika Ford Chrysler Dodge Jeep RAM Service Department is happy to help our customers. Before we begin work on your Ford, Chrysler, Dodge, Jeep, or RAM brakes, we will give you an estimate of cost and let you know what needs to be done and let you make the final decision. We will also let you know when you can expect your vehicle to be ready. You don't have to purchase your vehicle from us in order to get service from our dealerships. If you need brake rotors, calipers, pads, fluid, or just a check-up, please call the Opelika Ford Chrysler Dodge Jeep RAM Service Department to set up an appointment. The brake service or repair process at our Opelika, AL CDJR Ford dealer is straight-forward and easy. Drivers can relax in our customer lounge and enjoy our free amenities such as coffee and Wifi. Our new and used car dealership in Opelika, AL proudly serves Auburn and Cusseta drivers. Our team members are certified technicians that can service the brakes on most of the makes and models enjoy our local roads. Regardless of if you drive a Chrysler, Dodge, Jeep, Ram, Fiat or another manufacturer's automobile, don't let squeaky brake pads become a driving norm. Book your brake job appointment soon. Brake inspections should be a regular part of your used truck's maintenance plan. If our technicians discover that your vehicle needs new brake pads, we'll make the repair using OEM parts specific to your car and get you back on the road. Our Opelika CDJR Ford service center team looks forward to maintaining your car's stopping system to ensure factory standards.